There's nothing like neon polish in the summetime, am I right? Well, apparently two different challenges think so too, as they have overlapping "neon" prompts that I'm going to go ahead and combine today. I thought it would be fun to do some neon double stamping with black over the top. I think the neon backgrounds look a little bit like beach towels. So for my green polish, I used two coats of this brand new Sinful Colors polish, which is part of their back to school line, "#Get Bright". Love this unique color! 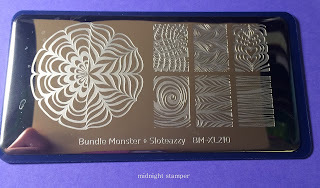 So I started my stamping with this Bundle Monster + Sloteazzy blogger collab plate. 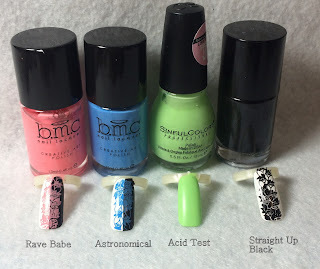 I just used the Bundle Monster stamping polishes from the neon collection to stamp over the neon green color with the watermarble patterns. 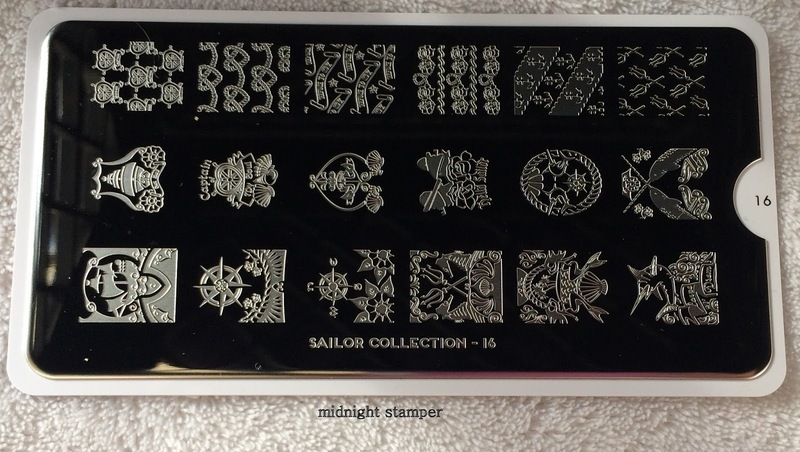 The nautical images come from the MoYou London "Sailor 16" plate. Thanks for stopping by! 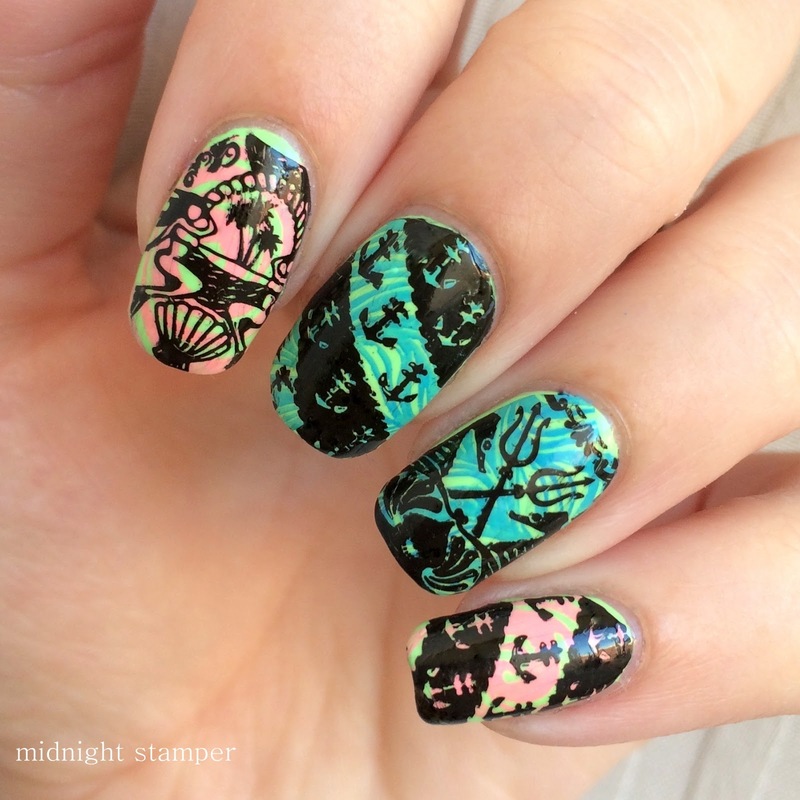 Be sure to check out more neon manis in one of the link-ups below! 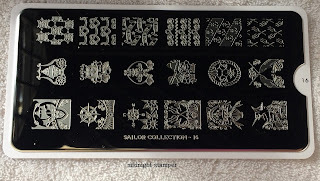 These are so nice! Love the mix & match!